We have the tendency to complicate things that should stay simple. Nowhere is this more true for me than at church. Good intentions, fear, and the momentum of cultural expectations can push us into being too busy, too stressed, and overburdened. Life is heavy enough without religious life becoming a burden too. 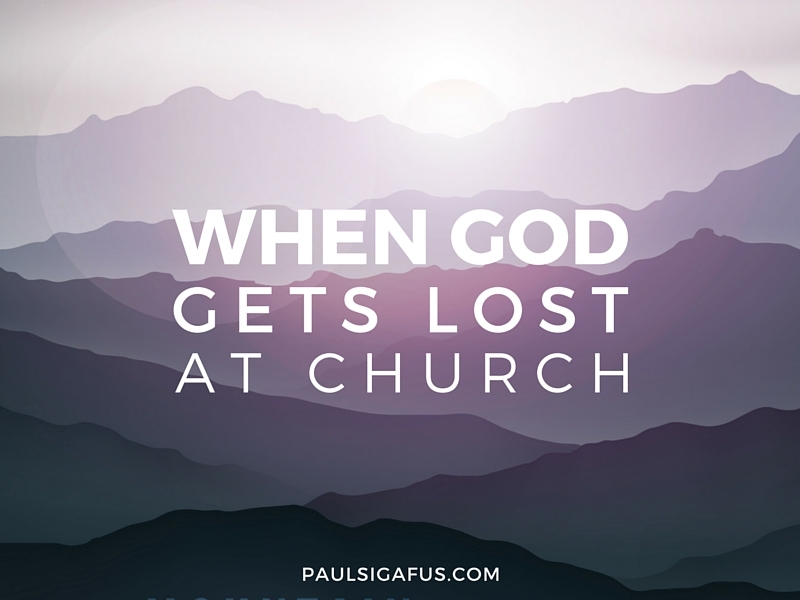 Under those burdens, God can get lost at church. A return to simplicity could help us find Him again. I’d like to explain why got up and left in the middle of a leadership meeting (again) after church last Sunday. I first want to emphasize that I love both the people in that meeting as well as in my church. I didn’t leave the meeting because I was offended by someone; I know each person in the room humbly gives their best efforts. I’m trying to do the same. I didn’t leave because I wanted to make a scene; in fact, I feel a little embarrassed about having left like I did. I do want to have the chance at being understood, though. I hope that what I share can help us to be more aware as we try to balance our relational need for community with our spiritual need for simplicity. I left the meeting because I’m struggling under the immense load of too much church. Unfortunately, my honest answer each of these questions right now is NO. My experience in the church is NOT working for me. Although parts of it bring me closer to Christ, I have to spend a tremendous amount of energy sifting through extra stuff to find what is nourishing. My experience in the church is NOT blessing me with peace and joy. What it IS doing is draining my spiritual gas tank far more rapidly that it can be refilled. It’s robbing me of joy, and making the sabbath a dread rather than a delight. More now than ever, I’ve realized that this isn’t sustainable. Sometimes we take the beautiful lily of God’s truth and gild it with layer upon layer of man-made good ideas, programs, and expectations. Each one, by itself, might be helpful and appropriate for a certain time and circumstance, but when they are laid on top of each other, they can create a mountain of sediment that becomes so thick and heavy that we risk losing sight of that precious flower we once loved so dearly. Therefore, as leaders we must strictly protect the Church and the gospel in its purity and plainness and avoid putting unnecessary burdens on our members. To put my walk-out in context, I’d already been feeling disheartened about the extra burdens created by well-intentioned church programs. In previous meetings, a number of us expressed the desire to keep things simple for an upcoming potluck dinner. So when my wife and I started getting emails and calls suggesting creating complicated performances for the event, I felt stunned. In my discouraged state, I wondered why I even tried to voice my opinions in the leadership meetings. Thankfully, after I spent some time reflecting, I was able to acknowledge that this was surely an honest mistake. Maybe the desire that several of us expressed for simplicity hadn’t been communicated down the line. I’ll also concede that many good people in our church will probably really enjoy the upcoming event. I freely acknowledge that there’s value in laughing and being entertained together, and some people participating won’t feel it as a burden at all. But some of us do feel burdened, and for me the costs of over-programing surpassed the benefits a long time ago. Ultimately, this isn’t about what happens on any one occasion. It’s not about the dinner-party-turned-entertainment-event. It’s about a culture of busyness that feels too heavy and unbalanced, and that contributes to God getting lost at church. For me, it’s high time to move from talking about simplicity to actually applying it. That means I need to let go of some (or perhaps many) things in my life in the church. I know that not everyone feels the same way about this. I also know that it’s my responsibility to figure out how to simplify, and that I’ll likely be judged by some as lazy, weak, or unfaithful for doing so. We try to be a full-service church, to meet every possible need. On an institutional level, we’ve proven unwilling to simplify in more than superficial ways. And since the church emphasizes obedience to authority, it is difficult to simplify when those changes aren’t happening from the top-down. So we end up too often with people exhausted, drained, or resentful of their callings or the church. People may not admit this in public, but they certainly talk about it in my therapy office. These aren’t weak people; they’re overworked. We require so much of people in the church that we often leave them with little time or energy to go learn and serve outside of our own insular religious communities. We tend to prioritize fulfilling assigned responsibilities over the joy and freedom of self-determination about where we can let our individual lives and lights shine in the world. The result is this: When there is great pressure to say “yes” in the church, and when we don’t have the courage to say “no” to non-essential things, it obscures some of the vital things that could nourish us. Like giving a full heart to things that we freely choose. And we wonder why depression rates are high. And we wonder why people don’t stay. This has affected me personally. After many years of church service in various leadership positions, I felt empty. It took me years to recover a sense of peace with God, and to reestablish a fledgling trust that maybe I could survive within the church. So when I was invited last fall to be the president of the men’s group in my church (a position I’ve held before), I felt terrified. I didn’t want the simple joy of communion with God and loving others to get lost under the weight of administering programs and managing lengthy to-do lists. I felt so grateful for my church leaders’ loving understanding when I expressed these concerns. I’m grateful still for their friendship and care. With their loving support, I thought that just maybe I could serve in my simple way: I wanted to have a simple focus on loving the people who came, reaching out to a few others, and trying to focus on having a sincere relationship with God. But I’m not sure that simple focus is really possible within the institutional structure of how I’m supposed to serve in this calling. While I know that people can be richly blessed for their church service, I also know that it’s not magic. It’s like with tithing: although there are blessings for paying tithing, God still expects us to learn how to manage the other 90% of our money. He won’t do it for us. Regarding busyness in the church, I’ve had scores of people in my counseling office over the years who felt neglected by parents who were always away doing things for church. God didn’t magically make up the difference, and some of these people still feel haunted by the sense that being at meetings was more important to their parents than being with the family. In my work as a therapist I’ve also worked with too many church leaders whose marriages and families suffered because of too much church. Let me be clear: the church does so much to bless people. I’m sure hundreds of thousands of people are being lifted and blessed by the church today. But the weight of too many obligations and expectations at church can also hide God and crush people too. While I’m not in charge of deciding what the church deems necessary, I do have a responsibility to make sure my family doesn’t suffer. I also have a responsibility to take care of myself. I just wish the programs and policies of the church didn’t put me in this position. Of course we need to serve each other. But do we need to be commanded and assigned in all things? 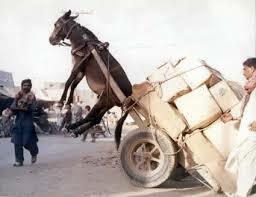 We rarely talk about how to lighten everyone’s load, including the leaders. Could we let go of some things? Could we exercise more trust that love and friendship can be better motivators and a higher law than statistics, assignments, and reporting structures? Aren’t love and friendship more sustainable in the long run? Or do people exist primarily to serve as cogs in the wheels of the church machinery? In my reading of the New Testament, Jesus challenged the established religious structures to move away from all the extra trappings of religion and to focus on the essentials. So I find myself at a crossroads: if I’m to survive being a member of this church, I have to get back to basics. (It pains me that I’m using the words survival and church in the same sentence). If it’s not ESSENTIAL, then I can’t do it. At least not right now. I freely acknowledge that my needs for simplicity are amplified by the painfully deep questions I have about some teachings in the church. Between those questions and the too-heavy-and-too-complicated structure of church assignments, I feel like I’m fighting a war on two fronts, and I’m losing. I feel a deep hunger for SIMPLICITY in my relationship with God and with the church. But forty years of experience tell me that the church will either never provide that, or it will change so slowly that it will be too late for me and my family; we’ll be casualties of over programing while waiting for the glacial process of change. Although I can’t change the church, I also can’t allow that to happen to me or my family. So I’m going to have to find simplicity myself by setting healthy boundaries, being honest, and being kind to both myself and others in the process of figuring this out. A joyful and reflective place to take the sacramental emblems in remembrance of God and Christ. Nourishment by the good word of God. Honest friendship, belonging, and community with others who are trying to be close to God. A place to talk with real authenticity and vulnerability about the welfare of our souls. A place that supports me and others in seeking personal guidance and revelation. I’m not sure exactly how to make the changes I need, or even what all the changes are. Jesus took 40 days away from the crowds to fast and to pray before he began His ministry. I’m certainly not Jesus, but I also need to take a step back as I’m trying to reclaim clarity and peace in my attempts to be His disciple. I’ll be deliberately using this time to prayerfully lighten my load and rediscover a God who, for me, gets too easily lost at church. I hope to reclaim the joy, energy, and lightness I need to serve with a full heart, wherever God calls me to go. Of devotion for His sake. Even when the cause is right. But to bear the light. If you feel that these thoughts could help someone you know, feel free to share by clicking on the Facebook link below! Paul, I enjoy reading your posts and love the insights you have. I feel sad that you are struggling and hope that you will find the joy and peace in your church worship that you are seeking. I will say that I think the “church” is aware of the over-burdening of its members and is working toward helping which is why President Uchtdorf spoke on that topic. I currently work with the youth and have felt that the new teaching methods are much more simple and allow for more contemplation and prayer over hand-outs and other elaborate measures. While working with the youth is a busy calling, it doesn’t have to be ‘too much’. I think the culture of the church is to never say ‘no’ and to be everywhere and do everything but I don’t think that is what the brethren or the Lord wants or requires. Sometimes, I think it is just the local leaders and the area we’re at that push to require everything. And I’m sure it’s well-intentioned but obviously (as in yours and others cases) to the detriment of some members. The YW president I work under is very great to remind all of us leaders that we are foremost wives and mothers and our family responsibilities come first. We pick up the difference when another needs to be home. And that is how it should be… family life should come first and it is sad when it is felt that it can’t or shouldn’t. But I do not think that is church council from the our leaders. Such kind words from my old friend! Thank you, Jana, for sharing your thoughts. I agree that there seems to be some growing awareness of the need for simplicity, contemplation, and prayer. Like you, I love the new teaching methods for working with the youth. I’m also glad that your YW president is so wise and balanced in her approach. It heartens me to know that some are pursuing a balanced approach that truly prioritizes family over callings. Most of all, I’m just grateful for the love and encouragement you’ve extended toward me and my family. I feel it, and it makes a difference. Wise words, Stewart. Trusting in God’s compassion and love is my greatest source of hope. I have enjoyed reading your articles, but this has been my favorite. It resonated with me a lot. Our family had church obligations 6 of the 7 evenings this week. It is too much. Tonight I had a training and a recognition night at the same time, so I skipped them both and we took our family to our small town rodeo. I felt a little guilt as I was raised to, “be where you are supposed to be”. Tonight I thought it was sad that I have given every evening this week to church and still felt guilty for taking one night with my family. I too am trying to simplify and break apart the layers. Good luck to you in finding your balance and peace. Thanks, Michelle. 6 out of 7? Wow! That is TOO MUCH! I’m so glad that you took some time off to spend an evening with your family. Both as a father and as a family therapist, I think that’s far more valuable than going to another meeting. We sometimes forget that the church was made to support individuals and families, not to drain them dry. Good luck to you also! Paul I always love your honesty and insight. I wish I could offer some words that sound wise but I don’t. However my empathy for your situation is heartfelt and you can probably figure out why. One thing I do know that our Heavenly Father is very mindful you and your great family. Don’t let it overwhelm you and get you down. It is just in others people nature that are built to run faster than people me and they can still see God through the extra activities. Becky’s thought is: through all the extra effort if one person gets closer to their Heavenly Father, it was worth it. I ask her what if means that we loose one of ours. She simply looks at me and says 1) it has not happened yet. 2) They will not get lost because of our service, it will be for something else. I go at the pace I can and it is often behind but the important thing is I am still going. Hi Rob. Thank you for your encouragement and your empathy. I also feel that God is mindful of me and my family, although the path in front of me isn’t always clear. Isn’t it interesting that some people (like myself) feel so pained by all the busyness while others really can see God through all the extras? I guess coming together in a group means that we all have to become more aware of others’ needs, not just our own. I hope I can be gracious with both myself and others in the process.